Study Details: In this study, you have an opportunity to learn new information about yourself and to contribute to the development of better treatments for social anxiety. 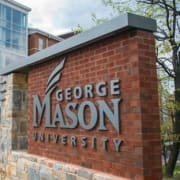 You will be asked to come to our research center on George Mason’s Fairfax campus. Then you will have the chance to learn about your emotional experiences by taking surveys on your smartphone for two weeks. Compensation : You have the opportunity to earn up to $75 in Amazon giftcards for participating. Interested in contributing to science? Want to help yourself and others overcome anxiety?